A Byzantine wonder that looks more like Istanbul than Italy, the 11th-century Basilica di San Marco is covered in domes, lined with golden mosaics, and filled with ancient art treasures. Location map of Basilica of St. Mark, Venice. Click image for a larger, interactive view. Aerial view of Basilica of St. Mark, Venice. Click image for a larger, interactive view. The Grove Encyclopedia of Medieval Art and Architecture. Oxford University Press, USA, 2012, pp. 245-50. Krautheimer, Richard. 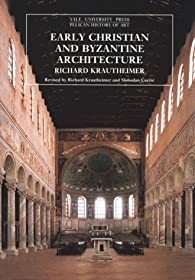 Early Christian and Byzantine Architecture. Yale University Press, 1984, pp. 407-11. Maguire, Henry (ed.) and Robert S. Nelson (ed.). San Marco, Byzantium, and the Myths of Venice . Dumbarton Oaks Research Library and Collection, 2010. Fenlon, Iain. Piazza San Marco. Harvard University Press, 2009. Demus, Otto (ed.). The Mosaics of San Marco in Venice . University Of Chicago Press, 1984. Demus, Otto and Herbert L. Kessler (ed.). The Mosaic Decoration of San Marco, Venice. University Of Chicago Press, 1988. Detail of the relief sculptures on the archivolts of the central portal of the west facade, 13th century, attributed by some to Benedetto Antelami. Basilica di San Marco, Venice, Italy. Credit: Holly Hayes. Mosaic of the Last Judgment, 19th century. Central portal, west facade, Basilica di San Marco, Venice, Italy. Credit: Holly Hayes. Detail of mosaic depicting the translation of St. Mark's relics into St. Mark's Basilica, 13th century. This is the only mosaic to survive from this period and the oldest on the facade. Note the depiction of the basilica as it appeared in the 13th century... Credit: Holly Hayes. Mosaic depicting the translation of St. Mark's relics into St. Mark's Basilica, 13th century. This is the only mosaic to survive from this period and the oldest on the facade. Note the depiction of the basilica as it appeared in the 13th century... Credit: Holly Hayes.